Recently we had the pleasure of seeing some Norman Rockwell artwork up close. A travelling exhibit featured a few of his most famous pieces, and also offered insight into his process. Though I think of Mr. Rockwell as having captured life in action, his pieces were actually planned. Early in his career, he used models that would stand in poses for hours as he sketched. But with the increasing popularity of photography within the art world, Rockwell switched. He would use everyday people, kids next door, neighbors down the street, and get them to pose. 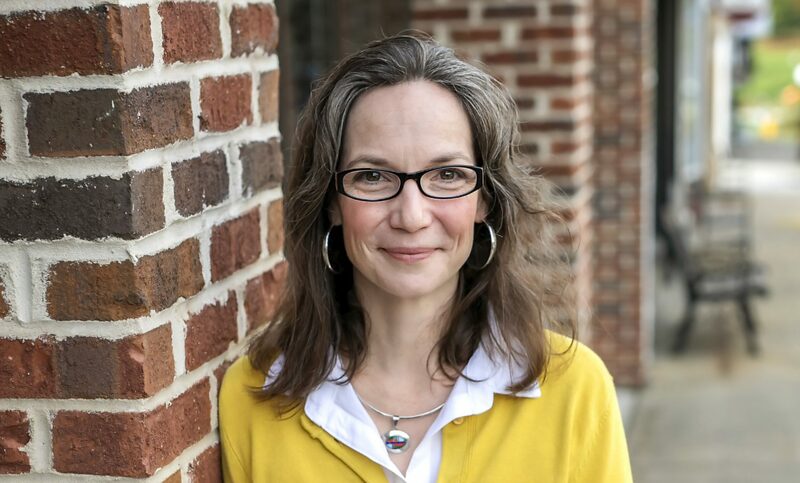 A professional photographer would take pictures and print them. And Rockwell would have his inspiration. First he staged, next he photographed, then he sketched, and finally, Norman Rockwell painted. With this full process in mind, the boys and I took off in search of what we consider local, southern, Americana. We found it at our favorite monthly bluegrass night. What has transpired is a month’s worth of art projects in our study of Norman Rockwell’s process. Step One (Week One): Photography – Take pictures that provide personal inspiration and represent Americana in your local community. I have a few samples below, but I have not shown several different angles. When taking the photographs, make sure to include the entire scene from various angles. Also take close ups of the scene in parts. In the photograph below, I also would need separate close ups of each player. These close ups help provide detail we may not easily catch. When moving into the sketching stage, the variety in your photographs helps with inspiration and observation of detail. 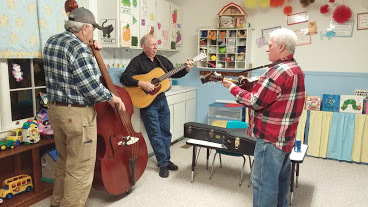 These three gentlemen practice in the back Sunday school rooms while the featured band plays the stage in another part of the building. Bluegrass is an integral part of culture where we live. 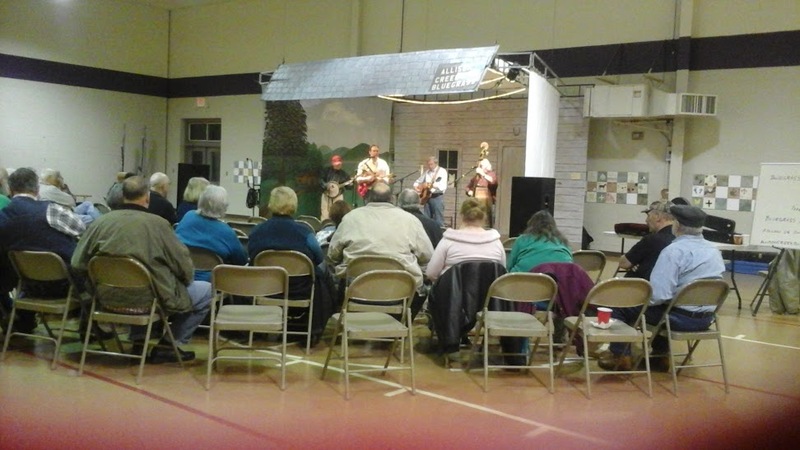 This is the house band performing to the late night crowd at the end of a bluegrass night. We have other photographs we are also using as our inspiration. Step Two (Week Two): Sit down and sketch a scene using photographs as both basic structure for the piece and for inspiration. In this phase, we can remove unwanted items and add elements we deem necessary. As an example, for the three players, I can leave out the background posters, toys, and clutter and simplify any curtains, decor, etc. Maybe have them standing on wooden floors instead of linoleum tile. For the crowd picture, I would remove air conditioning units on the back wall and increase the size of the stage to feature the performers. But no matter how I might alter my sketches, I still have the photographs as my guide. 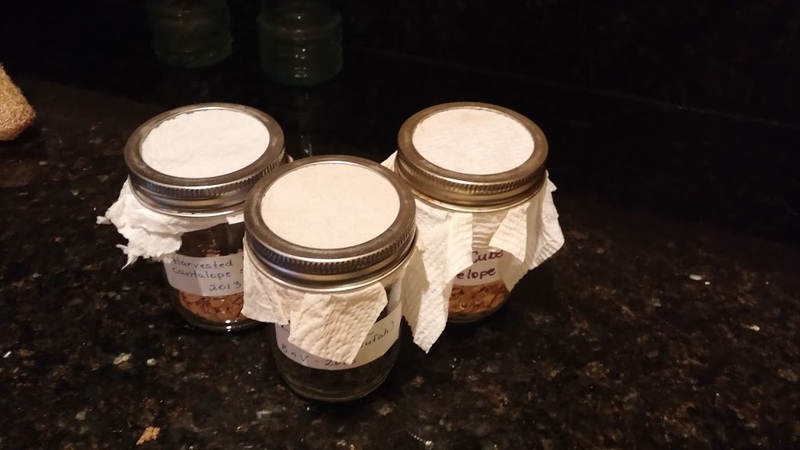 As an example of an earlier practice round, here are some of my canning jars filled with seeds. 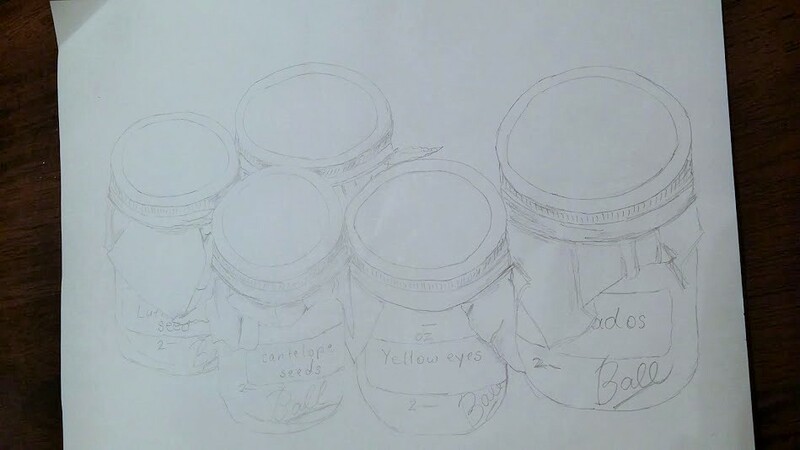 And here is my sketch. Step Three (Weeks Three and Four): Finally, Rockwell converted his sketch to paint and canvas. So as a final phase in the activity, I would do the same. Personally, because we do not have a lot of experience with paints, this final step of Rockwell’s process is purely fun and educational. This activity is a lengthy process. It can easily be divided into sections or used in small parts for photography, simple sketching, elements in art, and as lessons in various mediums. The main point is to have fun, be creative, and learn about one of America’s favorite artists.